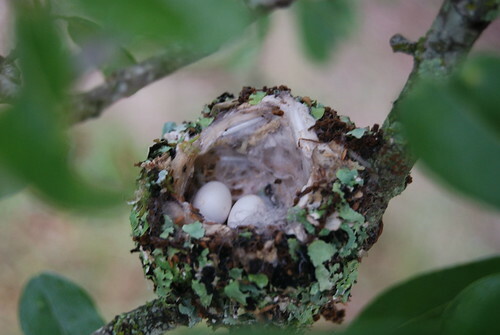 I finally found out why humming birds fly around oak trees. wow! how big are those eggs? the green looks like it could be lichen. It would be odd to be leaves since these should turn brown pretty quickly. Maybe if they are live oak they stay green longer to help mask the nest.